A man going on a journey, who called his servants and entrusted his property to them. To one he gave five talents [more than $1000] of money, to another two talents, and to another one talent, each according to his ability. Then he went on his journey. “His master replied, `You wicked, lazy servant! So you knew that I harvest where I have not sown and gather where I have not scattered seed? Well then, you should have put my money on deposit with the bankers, so that when I returned I would have received it back with interest. “Take the talent from him and give it to the one who has the ten talents. 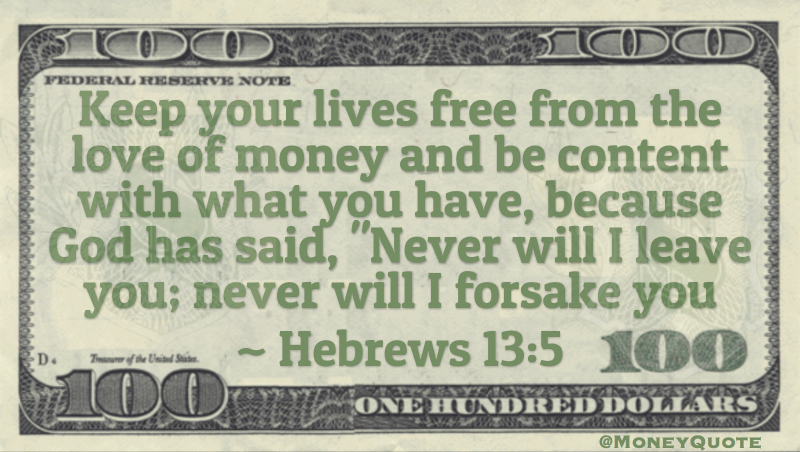 For everyone who has will be given more, and he will have an abundance. Whoever does not have, even what he has will be taken from him. And throw that worthless servant outside, into the darkness, where there will be weeping and gnashing of teeth. So Judas threw the money into the temple and left. Then he went away and hanged himself. The chief priests picked up the coins and said, “It is against the law to put this into the treasury, since it is blood money.” So they decided to use the money to buy the potter’s field as a burial place for foreigners. That is why it has been called the Field of Blood to this day. When Simon saw that the Spirit was given at the laying on of the apostles’ hands, he offered them money and said, “Give me also this ability so that everyone on whom I lay my hands may receive the Holy Spirit.” Peter answered: “May your money perish with you, because you thought you could buy the gift of God with money! He is proud, knowing nothing, but doting about questions and strifes of words, whereof cometh envy, strife, railings, evil surmisings, Perverse disputings of men of corrupt minds, and destitute of the truth, supposing that gain is godliness: from such withdraw thyself. But godliness with contentment is great gain. For we brought nothing into this world, and it is certain we can carry nothing out. And having food and raiment let us be therewith content. But they that will be rich fall into temptation and a snare, and into many foolish and hurtful lusts, which drown men in destruction and perdition. 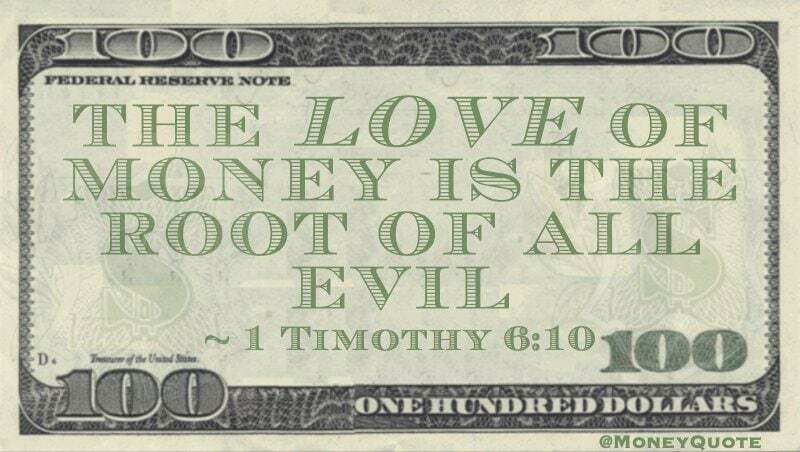 For the love of money is the root of all evil: which while some coveted after, they have erred from the faith, and pierced themselves through with many sorrows. But thou, O man of God, flee these things; and follow after righteousness, godliness, faith, love, patience, meekness. 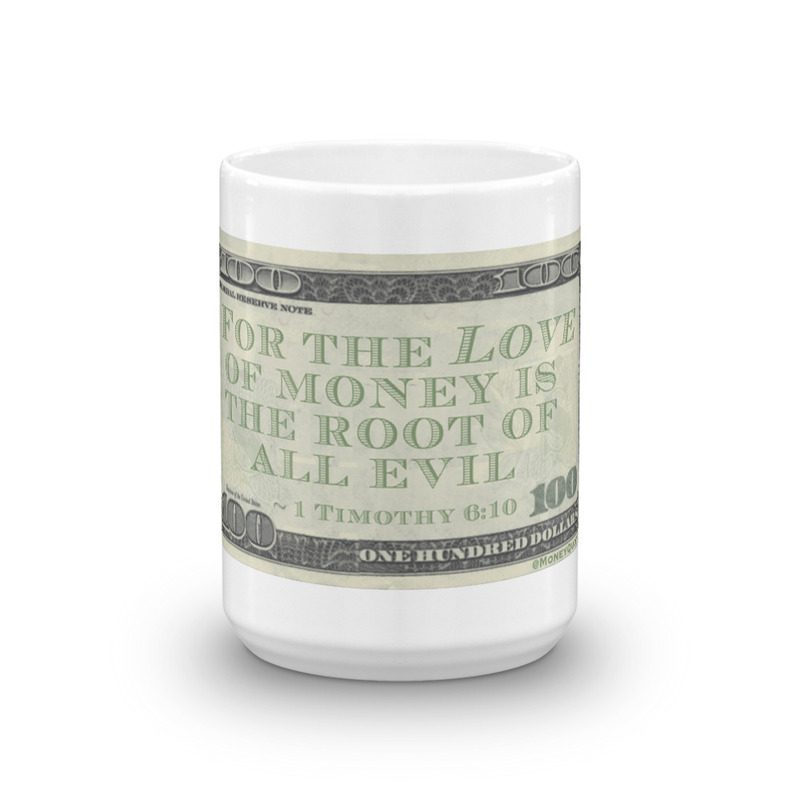 Why should I fear when evil days come, when wicked deceivers surround me— those who trust in their wealth and boast of their great riches? No man can redeem the life of another or give to God a ransom for him–the ransom for a life is costly, no payment is ever enough– that he should live on forever and not see decay. 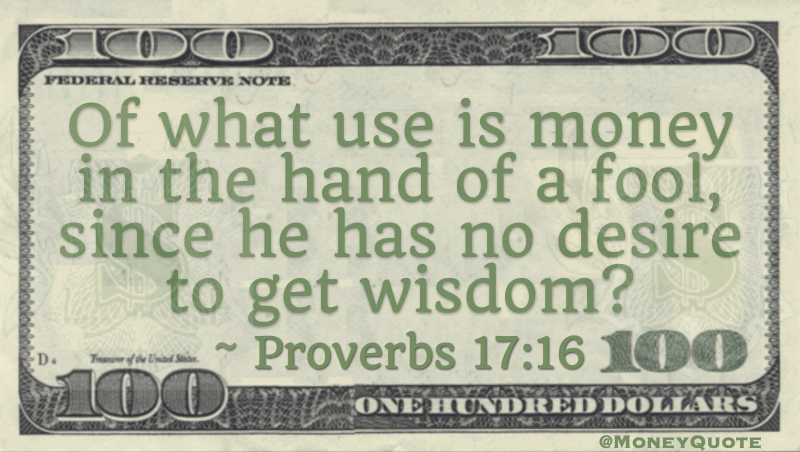 For all can see that wise men die; the foolish and the senseless alike perish and leave their wealth to others. Their tombs will remain their houses forever, their dwellings for endless generations, though they had named lands after themselves. 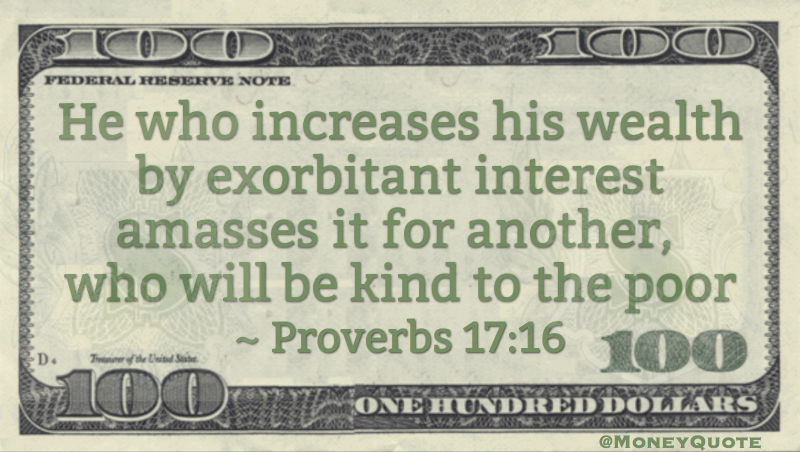 But man, despite his riches, does not endure; he is like the beasts that perish. This is the fate of those who trust in themselves, and of their followers, who approve their sayings. Like sheep they are destined for the grave, and death will feed on them. The upright will rule over them in the morning; their forms will decay in the grave, far from their princely mansions. But God will redeem my life from the grave; he will surely take me to himself. Do not be overawed when a man grows rich, when the splendor of his house increases; for he will take nothing with him when he dies, his splendor will not descend with him. Though while he lived he counted himself blessed– and men praise you when you prosper– he will join the generation of his fathers, who will never see the light [of life]. 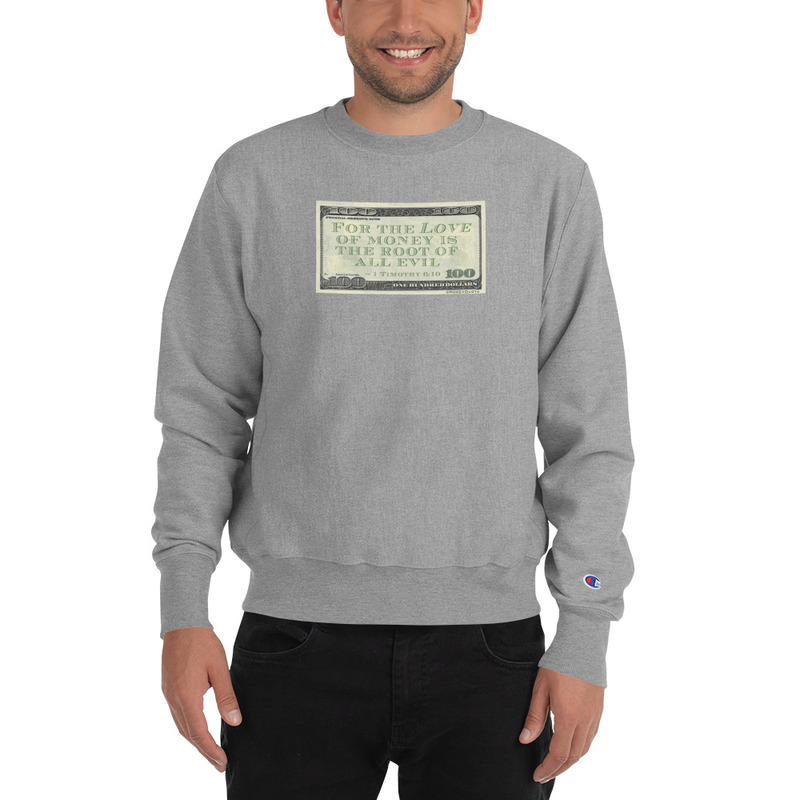 With me are riches and honor, enduring wealth and prosperity. My fruit is better than fine gold; what I yield surpasses choice silver. I walk in the way of righteousness, along the paths of justice, bestowing wealth on those who love me and making their treasuries full. Ill-gotten treasures are of no value, but righteousness delivers from death. The LORD does not let the righteous go hungry but he thwarts the craving of the wicked. 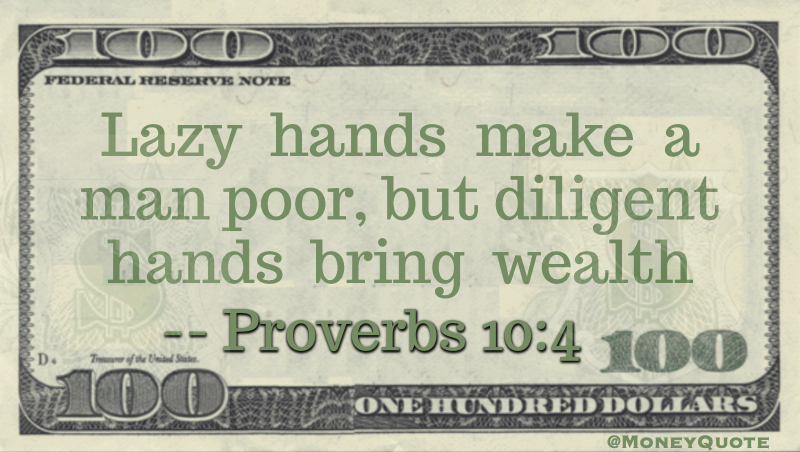 Lazy hands make a man poor, but diligent hands bring wealth. If you see the poor oppressed in a district, and justice and rights denied, do not be surprised at such things; for one official is eyed by a higher one, and over them both are others higher still. The increase from the land is taken by all; the king himself profits from the fields. 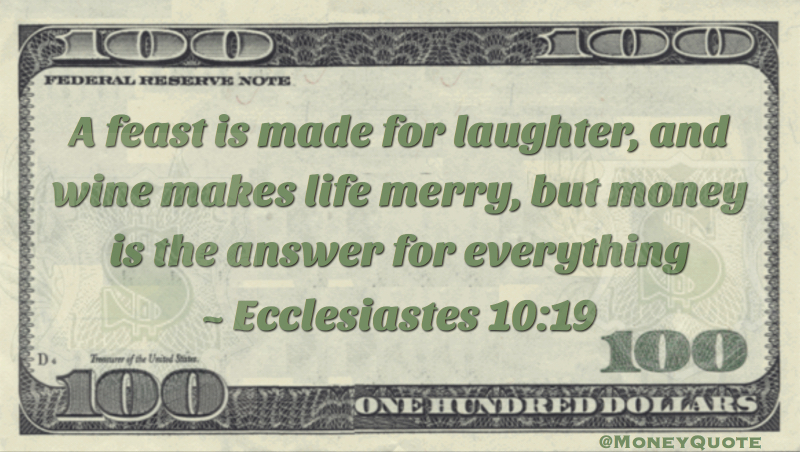 Whoever loves money never has money enough; whoever loves wealth is never satisfied with his income. This too is meaningless. As goods increase, so do those who consume them. And what benefit are they to the owner except to feast his eyes on them? The sleep of a laborer is sweet, whether he eats little or much, but the abundance of a rich man permits him no sleep. I have seen a grievous evil under the sun: wealth hoarded to the harm of its owner, or wealth lost through some misfortune, so that when he has a son there is nothing left for him. Naked a man comes from his mother’s womb, and as he comes, so he departs. He takes nothing from his labor that he can carry in his hand. This too is a grievous evil: As a man comes, so he departs, and what does he gain, since he toils for the wind? All his days he eats in darkness, with great frustration, affliction and anger. Then I realized that it is good and proper for a man to eat and drink, and to find satisfaction in his toilsome labor under the sun during the few days of life God has given him–for this is his lot. Moreover, when God gives any man wealth and possessions, and enables him to enjoy them, to accept his lot and be happy in his work–this is a gift of God. The first commandment says: “Thou shalt have no other gods before me” and Pope Francis repeatedly refers to money and finance as false idols not to be worshipped. 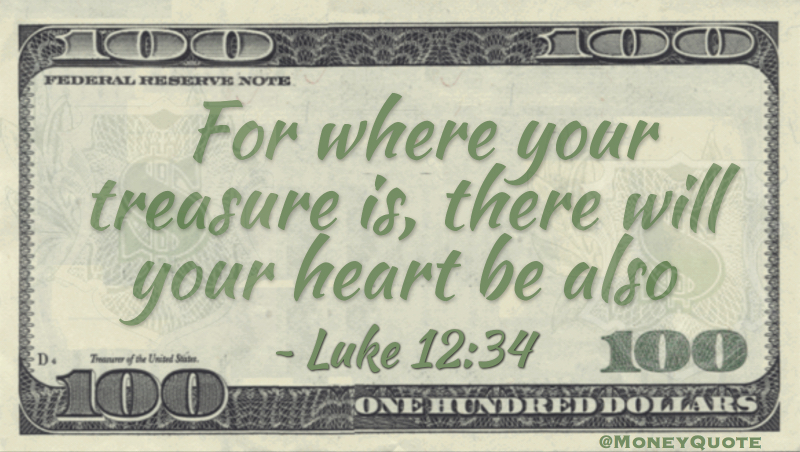 Speaking around the world about money serving as the new idolatry. Thanks to the Bible GateWay for the great reference resource!